Three Virginia schools in James Robinson, North Stafford, and West Potomac traveled up to Lehigh University in Bethlehem, Pennsylvania to compete against many of that state's best teams as well as watch some top collegiate action at the Paul Short Run. The Robinson squad enjoyed a lot of success at the meet with their boys' squad, ranked #7 in Virginia, beating some of the top tier teams in Pennsylvania with a runner-up team showing. Meanwhile, Robinson's top girl in Macey Schweikert did not run, but her teammate Lauren Berman shined in her absence to finish runner-up individually with a 5K personal best time of 18:22 for the VA #15 ranked sophomore Berman. Ben and Sam Ritz of Germantown Academy finished 2nd and 5th in the seeded race at Paul Short. 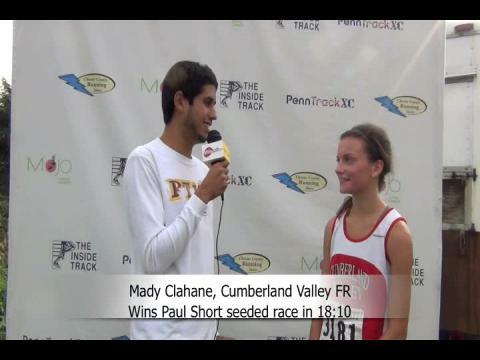 Frosh Mady Clahane of Cumberland Valley moved up another rung on the PA ladder with an 18:10 title in the seeded girls race. 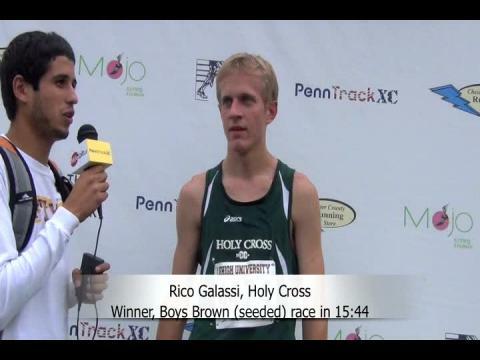 Holy Cross senior Rico Galassi lead most of the way in his 15:44 win in the seeded race.